Post-mortem of Britain's electoral upset. 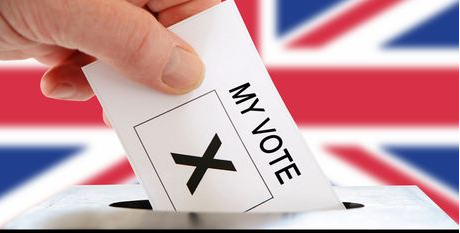 The Conservative Party began the election campaign with an enormous lead and even on election day was expecting to increase its majority. The biggest unknown ahead of the election was turnout. Labour was wildly popular among the young, but polling firms differed in their estimates of how many young people would vote at all. In the event, Labour's young fans excelled themselves: turnout among people aged 18-24 was 57%, according to a large post-election survey by YouGov, a pollster. That is 14 percentage points greater than in 2015. Age is now the main determining factor affecting party choice. The “phenomenal” generational divide has never before been so stark, according to John Curtice of NatCen Social Research. Mr Corbyn pulled in young people in droves by promising free university tuition. Labour won 43 of the 60 constituencies where full-time students make up 15% or more of the adult population, five of which it gained from the Tories. Overall, turnout rose by 2.5 points to 68.7%, the highest since 1997. Seat-by-seat analysis shows that it increased most in areas with large populations of well-educated under-45s; areas that are ethnically diverse; and areas that voted to remain in the European Union last year. That probably cost the Conservatives. Turnout in pro-EU London, where they lost six seats, increased by five points to surpass 70% for the first time since 1992. Brexit paid some dividends to the Tories. In 2015 the UK Independence Party won 12.6% of the vote with an anti-EU message. With the referendum won, its vote collapsed. About 60% of those who voted for UKIP in 2015 defected to the Conservatives, according to a post-election survey by Lord Ashcroft. 例句:He has already been blamed for his party's lackluster performance during the election campaign. 例句:When things go wrong, all of us naturally feel disappointed and frustrated. 例句:They both played the game according to the rules. 例句:I think it's very unkind of you to make up stories about him.